So I am sure that many of you reading are quite aware of something called burnout. Well, duh. And then, even further, you probably are raising your hand saying, “Yes, I have had burnout”. 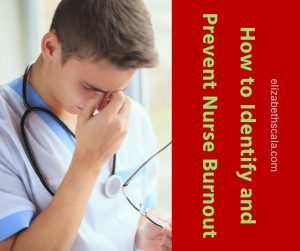 But you may be wondering how to prevent burnout in nursing. 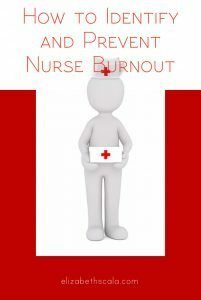 The more I study nurse burnout and the causes of it… the more I realize it is actually larger than we think. It is about more than physical illness or experiencing stress. In fact, physical ailments may actually be burnout talking to you, asking you to wake up! Many people hear the term ‘burnout’ and say, “Oh yeah… I’m stressed.” Or believe it is just feeling tired or overwhelmed. 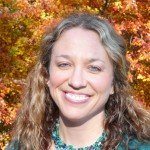 When actually nurse burnout is so much more. Maslach and her colleagues, the authors of the Maslach Burnout Inventory, characterized burnout by exhaustion, lack of enthusiasm and motivation, feelings of ineffectiveness, and also may have the dimension of frustration or cynicism, and as a result reduced efficacy within the workplace. In fact, they went as far as to define the antithesis of burnout as engagement. Again- burnout is more than just feeling stressed. It is about more than physical issues. It does not mean that you are not eating healthy or sleeping well. Burnout is about so much more. There are many resources on the internet that go into great detail about helping you figure out if you are experiencing burnout or not. So I would not want to add to what is already well-established on the World Wide Web. However, real quickly… are you tired all of the time? Do you dread going in to work? Does everything about your job frustrate you? Are you just generally dissatisfied with your job? If so, then you may be experiencing nurse burnout. Now- let’s add to that. Are you also sick a lot? Do you have difficulty concentrating? Are you relationships suffering? These things will occur when the burnout gets so bad that it starts to affect other areas of your life. Remember above when I said that burnout was not a physical illness… more like a physical illness is your wakeup call that something is wrong! Gone Too Far… You Can Get Back! If you already are in the throes of nurse burnout, you may need to get additional support. But guess what? Good news. You can come back from burnout! Hence the term running around these days: resilience. Get clear on your career goals. And follow them. When we really read more into Maslach’s work and the burnout inventory, we realize that burnout is about feeling as though you did (or didn’t) make a difference at your job. Do you find it enjoyable? Are you passionate about what you do? I see so many people stuck in jobs just because they need the money and not because they love the work. In terms of nursing we are a lucky bunch of people. There are SO many opportunities. If you find yourself burned out because you no longer enjoy the role- switch it! Get clear on what you really want out of your career and take the action steps to get there. Take care of your health. All of it. Burnout is about more than being tired. It is categorized as emotional exhaustion, feeling unappreciated, and not connecting to the work anymore. You need to take care of your physical, mental, emotional, spiritual, and energetic health in order to prevent burnout. Not sure how to do that or where to turn? The American Holistic Nurses Association is a GREAT place to start. One of the key foci of that group is total well-being and whole person care/health. There are many resources that can be found- and resourceful people too- just be checking out the AHNA! It helps to get help with your health. Continuously reflect, learn, and grow. When I think of an unhappy person, dissatisfied with their work I see someone who is constantly pointing fingers. Blaming everyone else for their misery. Here is where I turn to Maslow’s hierarchy of needs. Once the basic needs are met, a person can go inward for greater self-reflection. 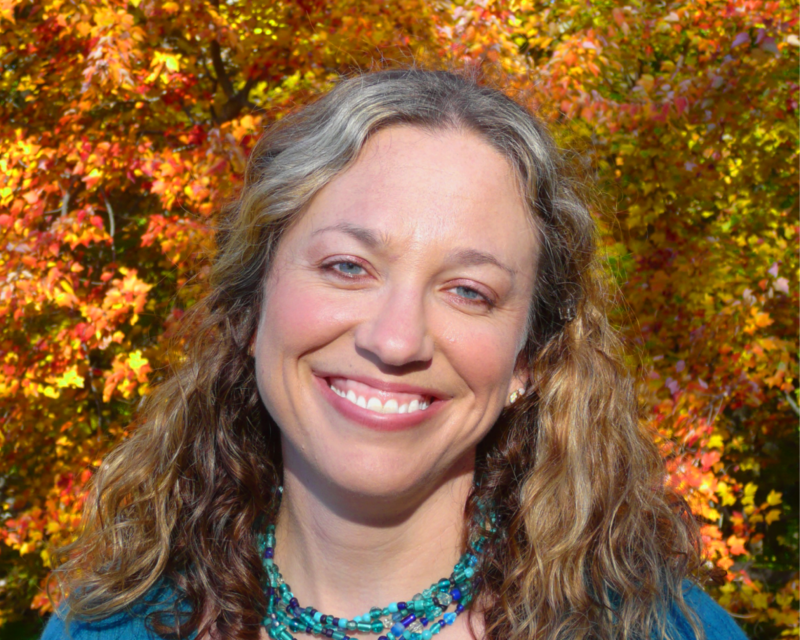 We can ask ourselves, “What do I contribute to my own burnout?” Crazy concept, huh? Often times what we dislike in others or our situation is a reflection of what we need to change about ourselves. Can we look inward to see how we can transform our lives? Can we learn something new from our unhappiness? What good can come from being burned out and how can we grow into a better person? Let’s hear it readers! What did I miss? How would you add to this post? Can you share a comment below on how to prevent nurse burnout? Let’s help our fellow nursing brothers and sisters. Thanks for reading and enjoy the day! Your question, “What do I contribute to my own burnout?” is spot on. We contribute in many ways that may not be aware of! And that question often makes us wonder what are we DOING that is contributing to our burnout. However, what we DON’T do contributes just as much…when we don’t take care of ourselves, when we don’t speak up for ourselves. Great question! Thanks! Thanks, Donni. So glad that you see it as helpful… I am sure (and was worried, to be honest) that others may/do not. It is like you said- when we are aware of it… then we can make changes! Appreciate your comments. Thanks for reading. Thanks for sharing Elizabeth. So often, we realized we’re experiencing burnout after the fact! Thanks for bringing this to our attention so we can share with others! We do have to be more precise and differentiate between burnout and stressed-out. I find my mindfulness practice helps a lot. If I ever start heading down the rabbit hole, I see it, experience it and then pour some compassion into the mix. Once there, I can begin to make different choices. #2!!!! We are more than one dimensional. We must care for our entire being. 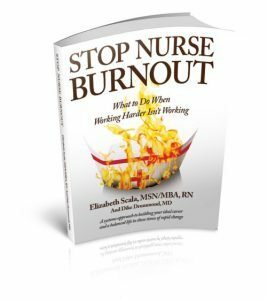 I suffered extreme burnout- to the point of leaving nursing (I’m back now! :)). It is a horrible feeling- and no one ever talked about it back then. I am thankful there is so much more discussion and people taking notice of the stressors Nurses are exposed to. Bottom line though- recognizing that we need to care for ourselves is our fix. Or at minimum gives us the power to ‘get fixed’. Thanks for this excellent blog. Am sharing with my colleagues. Awesome Nicole! And glad to hear you are back!! Thanks for sharing. Hello! Great blog. I don’t think burnout gets enough attention in the work place. We see it all the time on the faces of our colleagues. But, we often don’t show any empathy or compassion to the nurse who is experiencing the burnout. I think this is a great disservice to our profession. Like you said, resilience is the new “buzz” word going around. It points to a recognition that we need help. There are many modalities to help combat burnout. For me the following has been the most effective and long lasting of anything I have tried to date. Resilience is not about being more positive, it is not about overcoming circumstances, it is not your personality or maximizing strengths. It is about the misunderstanding we all have about how we work psychologically. It is about the Nature of “How thought works”. We create our perception of reality through thought 100% of the time. Since thought is a constant, we can begin to understand that our experience is a reflection of our thought in the moment. This gives us the ability to become more resilient simply by recognizing where our psychological experience is coming from. We often think that something outside of ourselves is the cause of our feeling. That is simply not true. When we think our feelings are coming from something outside of ourselves, we do ourself a great disservice. Something else cannot dictate how we feel. We all do this from time to time but, in burnout the lines become so blurred that we no longer recognize where our feelings are coming from. This leads us to great dis-ease. Resilience is when we come back to center and acknowledge that it is our own thought that is creating our experience every minute of every day. By having this one insight, we have the innate ability to cure burnout. This shift in thought, from thinking something else is creating our reality, to knowing it is really our own thought, creates a sense of wellbeing and puts us on the path of mental, emotional and physical health. I couldn’t agree more, Teresa. I thank you for bringing these comments to the discussion. I totally understand and agree that our thoughts are what impacts everything in our life. I appreciate you sharing your insights. Thank you very much!